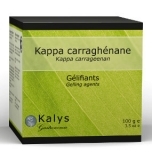 Kappa Carrageenan is a gelling agent extracted from a type of red seaweed that grows off the Irish coast. It has been used to make a traditional Irish pudding for centuries and is now being used by some of the world’s top chefs as an alternative to traditional gelling agents such as gelatine and pectin. It is vegetarian and vegan friendly. Kappa Carrageenan creates a firm gel with a brittle texture that is suitable for both hot and cold preparations. Kappa Carrageenan is a hydrocolloid that works by controlling the structure of water molecules within a food. Kappa Carrageenan should be used at a concentration of between 0.5-2% depending on the required texture of the final result. It can be dissolved into cold preparations but must then be heated to boiling point before being cooled. 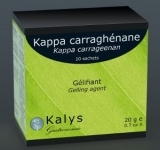 Gels made with kappa Carrageenan will set between 30-60°C and will stay stable until they reach a temperature of 70-80°C at which point they will start to melt. 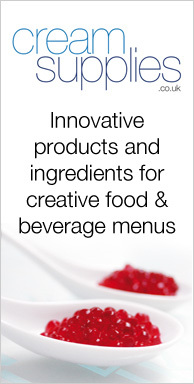 Unlike gelatine and agar, gels and jellies made with kappa Carrageenan are thermo-reversible meaning they can be reset if they are cooled again after heating. How do I use Kappa carrageenan with heavy cream? I am trying to make whipped cream using Kappa in order to give it more volume. what would the ratio be for 100g of heavy cream? Thanks for sharing. I have been trying to make soy bean pudding using a mix of Kappa and Iota carrageenan, stirring in the carrageenan at around 75 degree for around 5-10mins. Sadly, my pudding does not congulate even I left overnight in my refrigerator. I Really hope that you could give me some advise.